SK Clinic and Medical Spa is pleased to provide you with comprehensive skin care and professional treatment protocols. Every skin care treatment or series is preceded by a complimentary consultation. We will provide you with a thorough evaluation of your skin care challenges, and address your concerns and questions. Our local San Diego skin care procedures include microdermabrasion, combo peels and more. A relaxing pre or post-op facial will also set you at ease and help you to relax if you are getting another procedure. Our expertly trained medical aestheticians will suggest the appropriate treatment options that meet your specific needs. To choose the best treatment for you, view our San Diego skin care options below. All medical aesthetic treatments are performed by seasoned professionals at our skin care center in La Jolla. 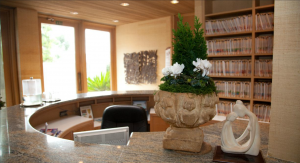 SK Clinic is happy to provide additional La Jolla skin care information at our local clinic. For further education, contact a professional at SK Clinic to help you choose the procedure for you. To prepare the skin for your upcoming procedure, this facial, designed for your specific needs pre-op, will nourish, hydrate, enhance and accelerate the post-operative healing process. Designed to speed up your recovery, this facial will provide your skin with the nutrients and moisture it needs to heal post-op. SK’s Lymphatic Drainage Massage will also decrease post-op swelling and speed the healing process. Microneedling uses a sterile needle tip containing 12 tiny micro-needles to create channels in the skin. This initiates the skin’s repair process to naturally produce collagen and elastin, ideal for smoothing fine lines, wrinkles, acne scars, traumatic scars, and stretch marks. These micro-channels created by the treatment allow for optimal absorption of topical products and Platelet Rich Plasma (PRP), enhancing their effects in the deeper layers of skin. Platelet-rich plasma (abbreviation: PRP) is blood plasma that has been enriched with platelets. As a concentrated source of autologous platelets, PRP contains several different growth factors and other cytokines that can stimulate healing of soft tissue. Platelet-rich plasma therapy is an old therapy that utilizes growth factors present in alpha granules of platelets in an autologous manner. Dr. Krant uses PRP for androgenetic alopecia, wound healing and facial rejuvenation. Want silky smooth skin? With our exclusive buffing and skin resurfacing process, lines, wrinkles, even old acne scars GONE! Microdermabrasion can effectively minimize the sun’s damage and decrease hyperpigmentation and discoloration. So, uncover the new you, on your face, body, back, hands, to discover the beauty beneath. See truly remarkable results with microdermabrasion combined with the appropriate Physician’s Choice peel solution. The surface exfoliating action of microbermabrasion removes the buildup of dead skin cells for better penetration of the peel solution. The Combo Peel treats acne, fine lines, wrinkles and hyperpigmentation. This is a proven and patented light to medium peel that exfoliates, bleaches and inhibits pigment production. This peel is available in three formulas that help repair and reduce breakouts, control oil, soften lines and provide a more even, smooth skin texture. Your aesthetician will customize the appropriate peel for your skin needs. The Vi Peel is a high-powered peel that combines phenaol acids Vitamin C and Retin A which together make for a gentler procedure that is safe for all skin types. The peel works gradually over five to seven days, clearing up acne and acne scarring, brightening skin and increasing collagen production.